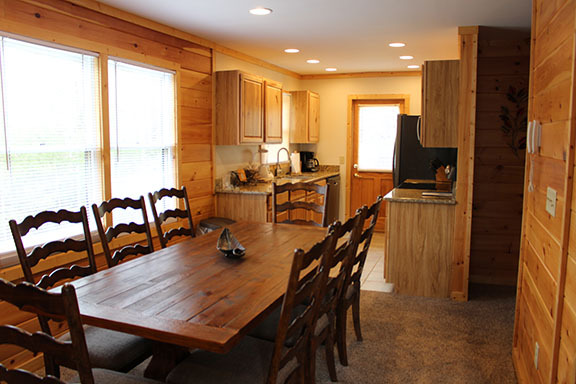 This rustic cabin comfortably accommodates up to fourteen people. 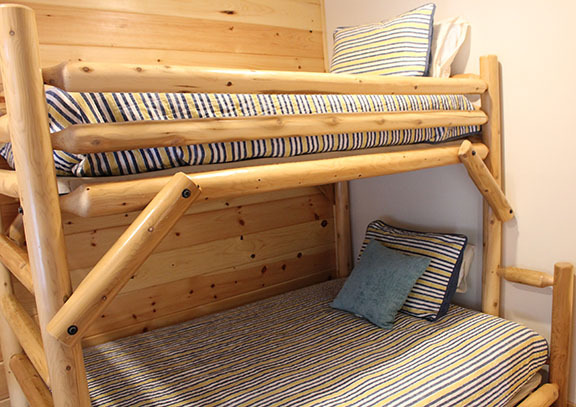 There are five bedrooms, five bathrooms plus a three person bunk bed. 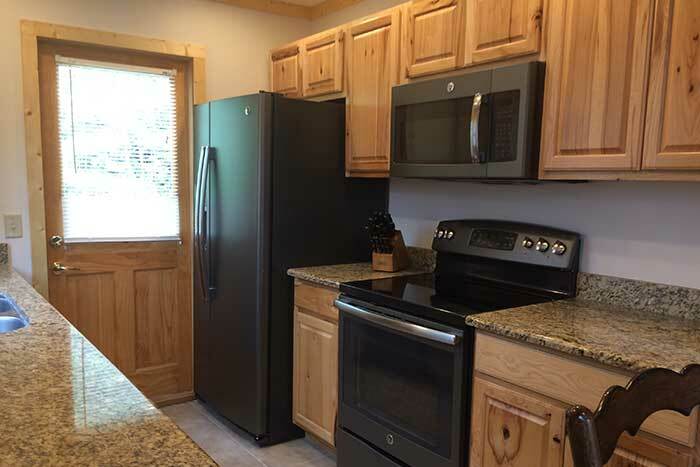 The kitchen is fully stocked with all appliances needed for cooking your family’s meals. 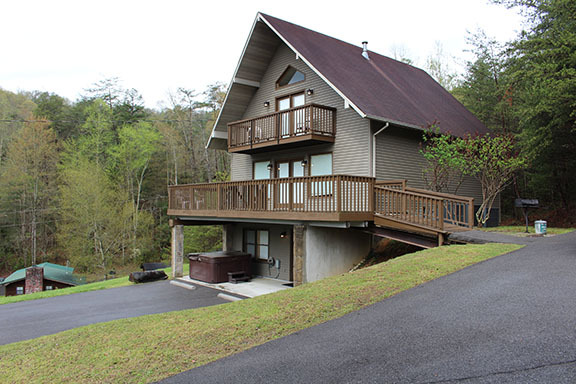 There is a hot tub to enjoy on the porch plus this cabin also has a pool table for you to take advantage of. 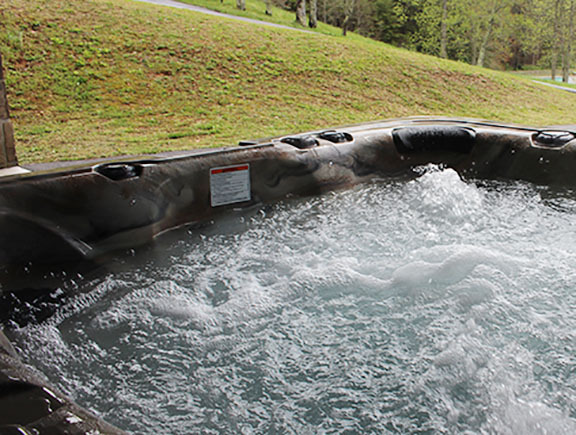 If these options do not fill all of your activity needs, you will have access to all other activities that the resort has to offer. 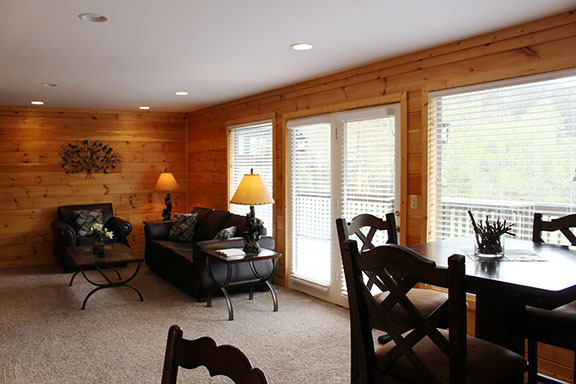 This includes a swimming pool, a pond for fishing or paddle boats, hiking trails and basketball court. 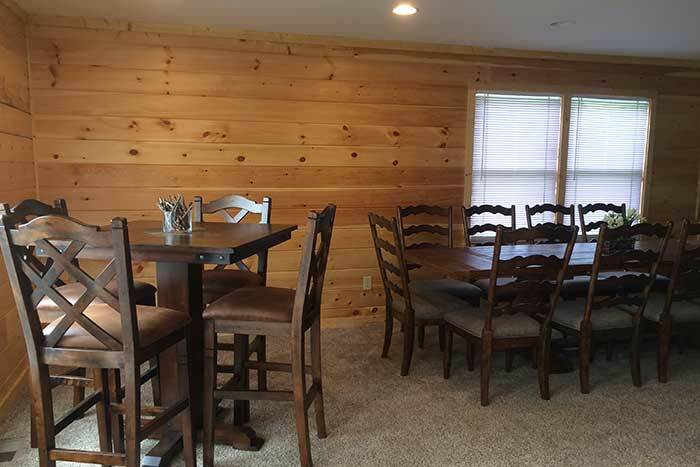 There’s no need to reserve more than one cabin! 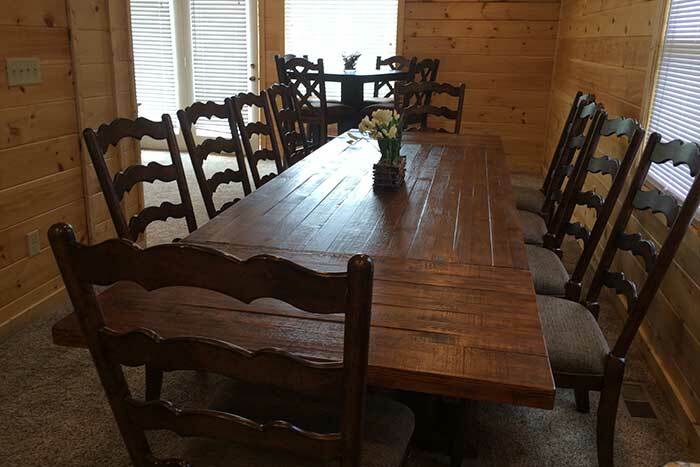 This cabin has been recently remodeled and sleeps up to thirteen people. 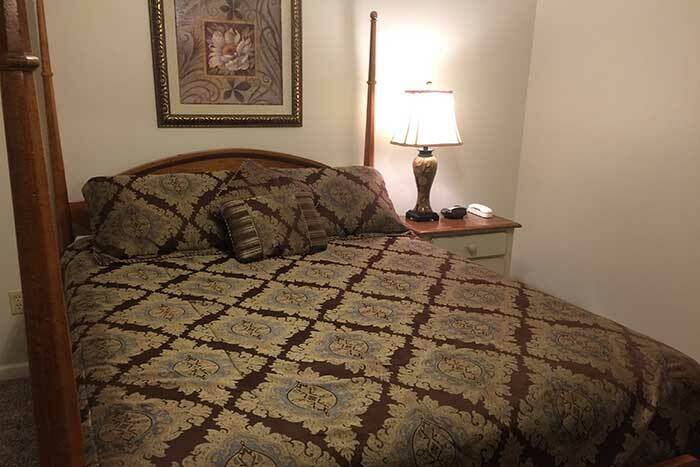 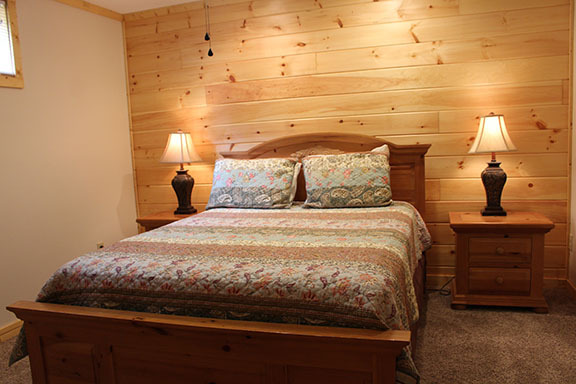 It has all the amenities needed to have a comfortable stress free stay. 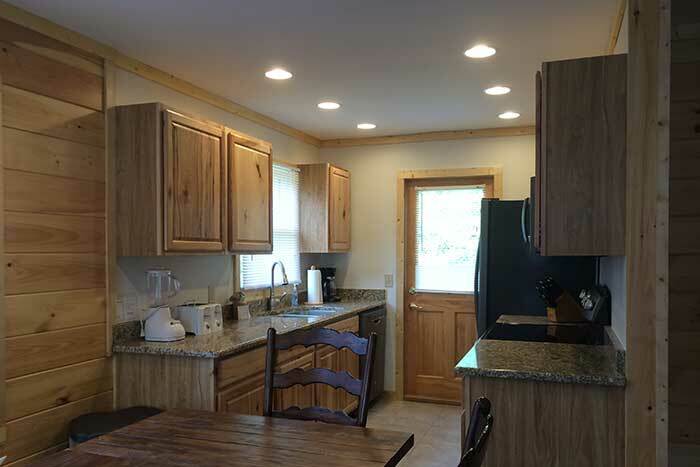 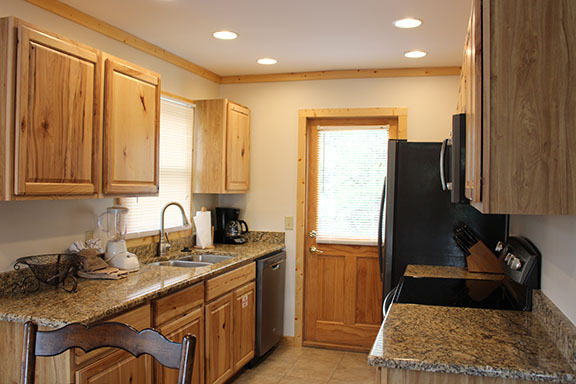 The fully equipped kitchen makes cooking full course meals a breeze plus there is a washer and dryer conveniently located inside the cabin for all your laundry needs. 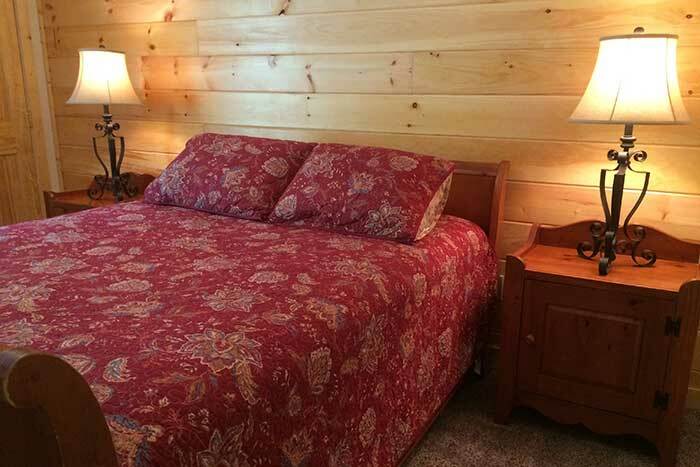 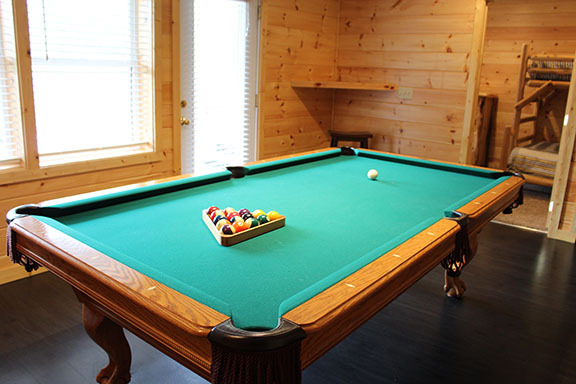 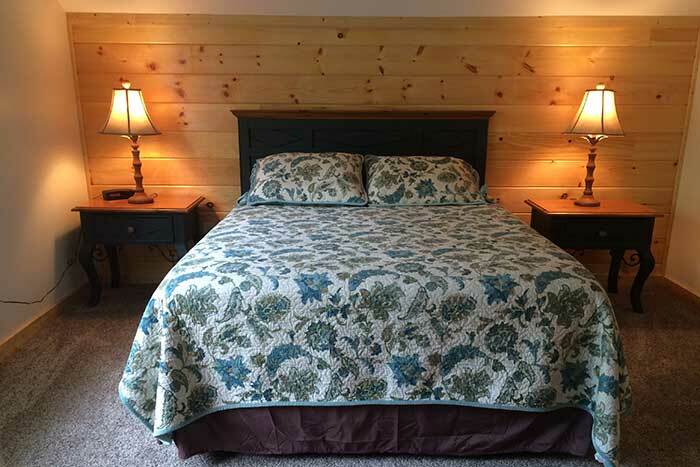 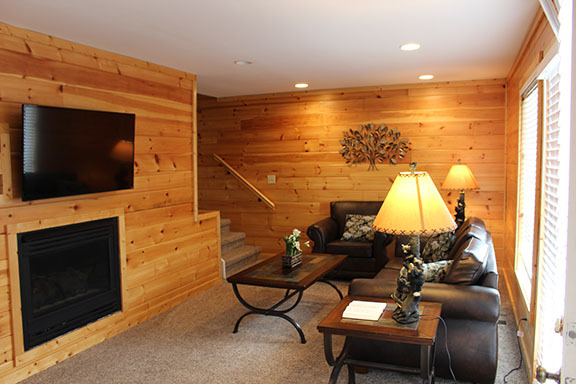 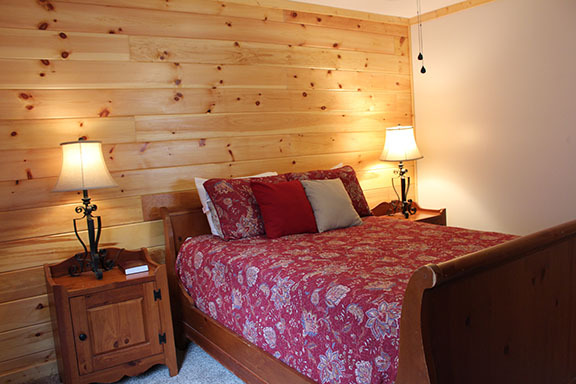 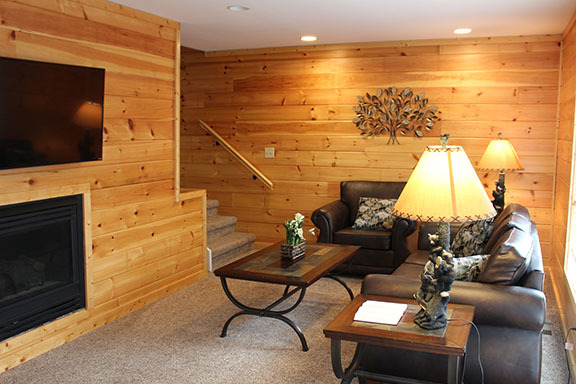 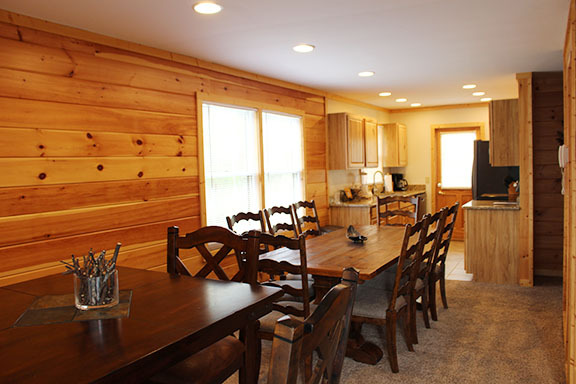 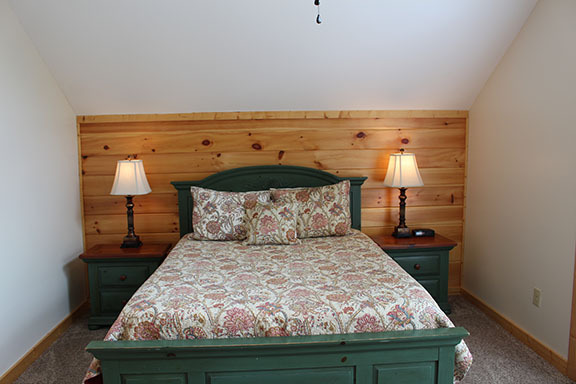 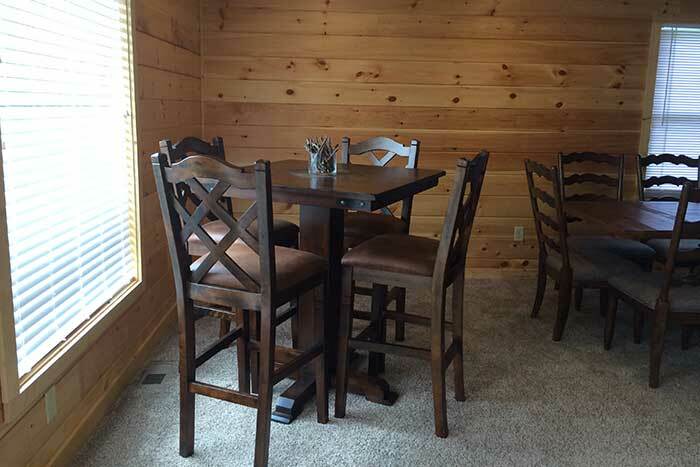 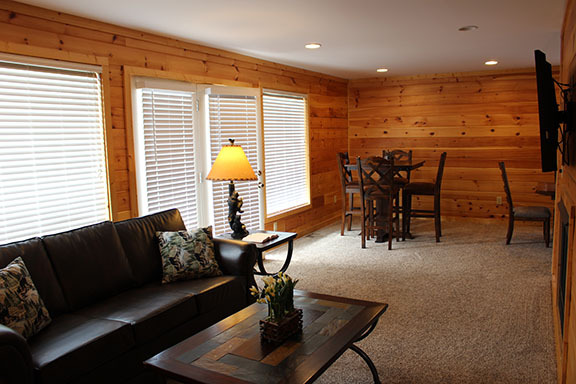 This cabin has a pool table for family game nights and the hot tub is just what you need for a relaxing evening!